This is Part 24 in Esther Hyams’ series of poems on the life of Anne Boleyn. To whom they would blame, for these deaths so obscene. Than to blame the King of England, a man so divine. The Catholics felt so completely betrayed at this dissolution. With such wealth and splendour, jewels and golden chalices. Replacing those of the pious Catherine’s in her previous homes. Wanting to break out of convention and the accepted norm. The sight of which so many Catholics could not abide. The Church would bring him and England glory through his desire. The Church was subject to the King – in this battle Henry had won. Catherine had always been separate, as a son she did not bring. 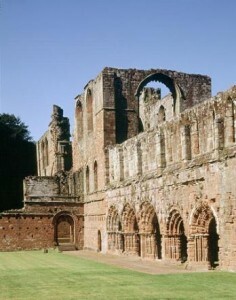 Along with a new great hall for many sumptuous feasts. Click here to read the next poem – “Henry’s Wandering Eye”.